Welcome & Housekeeping: Jon David laments on the busy-ness but celebrates the shop’s success with the IPSD sale over the past week. The Country Squire also had 2 pipe pilgrimages on the same day! The NOLA Pipe Club (members Mark Van Vrancken, Jared Purvis, and Ryan Smith) made a trip to Jackson, and two guys from the Austin Texas Pipe Club (Josh White and Zach Limburg) showed up to deliver Jon David his wedding cake toppers, which are two hand-painted MM Diplomat cobs made by Josh’s wife Liz! Be on the lookout for some pictures. They are stunning! Also welcome to new Pipe Club Squire Adam Larkin! Thanks for joining man! Instead of trying to copy verbatim what JD and Beau have said on this topic, I’ll highly encourage you to listen to this particular episode in full. It’s an emotion-filled eulogy in many ways and translating that into written word is a difficult task. So I offer two pieces of reflection. One, is a quote from Chuck Stanion’s article on Mike McNeil from the Winter 2000 edition of Pipes & Tobaccos Magazine. "If the quality of available leaf ever went down," says Mike, "to the point where we didn't like our own product, we would shut the doors. We would shut the doors immediately and end it all, because our name is on that can and I'd rather find something else to do than put out something that isn't right. I would rather go out of business. That way we could say, 'Well, at least we went out with a great name.' So McClelland will always be high quality. We'll never change." And today (2/26), that’s exactly what happened. As of this week, McClelland is shuttering their doors. I think I speak for many when I say we wish them the best and thanks for so many years of service and love to the tobacco industry. We celebrate their legacy. Thanks Mary and Mike! Second, is a link to Pipedia’s wiki on Lars Ivarsson who died on 2/11/2018 after a long battle with cancer. I encourage you to read the article about his life and craft. Truly, a legendary man, a huge influence on pipe carving, and he will be missed by so, so many. Pipe Question of the Week: Joey writes in and asks “As a new pipe smoker is it better to stick with one tobacco and pipe so that you can learn that pipe and get a good rhythm or is it better to try a lot of different tobaccos and pipes so that you can find your favorite?” Good question, especially for this time of the year. JD always recommends variety. What if you get a bad pipe on your first go? Two ways to approach that. You can practice so you get better, or could it be a pipe problem? You won’t figure that out until you have a little variety. But be careful not to overdo it. There’s so many different aspects of pipe smoking it can quickly get overwhelming! 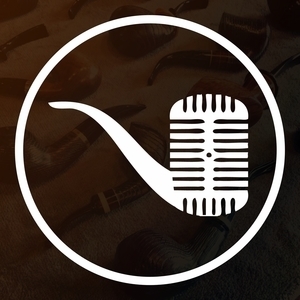 Pick a good pipe from Missouri Meerschaum, or even a nice house pipe from a local tobacconist, and learn the process! Get a variety of tobacco to try out like BCA or 1Q if you don’t have a tobacconist like the Squire to order from!